The Glo N0 tweak has been working for a very long time now so it's not a new cheat and am pretty sure a lot of my blog readers are still enjoying this cheat. Recently, some people have been complaining about the UC mini tweak browsing but not downloading anymore. In this post I will just show you guys the latest working settings for UC mini handler and also how to download large files with it. 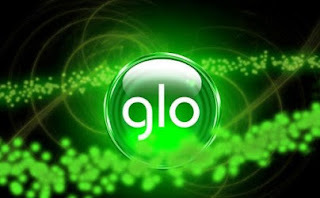 The good thing about the UC mini handler is that the speed isn't capped at all unlike the VPNs we are used to which makes it the best option to download with this Glo unlimited cheat. Note that, unlike your VPNs, the UC mini handler doesn't power all apps as it works only with the UC mini app. The advantage of the UC mini handler is that it doesn't require any VPN and it downloads real fast. For the APN settings, just use Glo's default APN. >>Download and install UC mini handler from this LINK. >> Launch the uc mini handler app and configure as shown below. >> If you are actually downloading small files, then you can just download it directly as you most likely won't encounter any problem. But incase you are downloading a large file or you are getting download fail error, then follow the procedure below. >> Make sure you are on the download page. >> Click on the address bar and copy the URL. >> scroll down and paste the URL in the provided box. >> You can go ahead and download your file from there without any error. If you have any question, feel free to ask and also don't forget to kindly share this post on your social media platforms. If you encounter any issue, then let me know by dropping them in the comment section below.